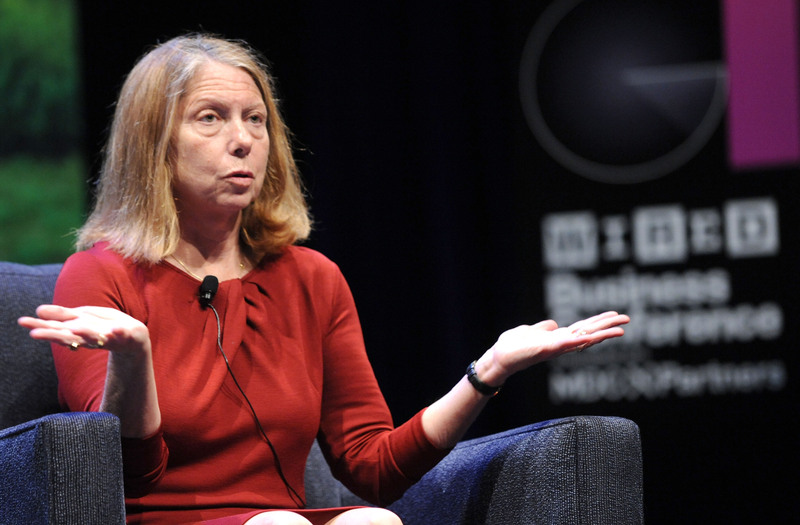 The Jill Abramson Controversy Might Have You Wondering: How Can I Investigate My Own Pay Gap? As if the realities of the gender pay gap weren’t already blindingly obvious, the New York Times inadvertently placed a spotlight on the issue in its ousting of executive editor Jill Abramson Wednesday. While the paper’s publisher chalked the decision up to "an issue with management in the newsroom," the New Yorker reported that Abramson was getting paid "considerably less" than her male predecessor, and that the paper fired her for trying to rectify that. The Times disputes that version of events, though it doesn’t deny that Abramson was getting paid less than Bill Keller, the previous executive editor. The whole episode might have you wondering if you’re getting paid less than your male counterparts. That wouldn’t be an unreasonable suspicion, but it can also be a hard thing to confirm. However, if you suspect you’re getting the short end of the salary stick, you do have some options. Here are a couple of ways to figure out if you’re underpaid — and by how much. Glassdoor is sort of like Yelp, only for jobs instead of restaurants. It collects anonymous information about employers from the people who work there (and used to work there). This includes general reviews of the company, job descriptions — and the salaries of various positions within the company. While the anonymous nature of the site can diminish its reliability somewhat, it’s nonetheless a great resource for getting a general feel for the expected salary at your job, both within your company and elsewhere. Also, keep in mind that the responsibilities associated with certain job titles sometimes differ from company to company. Glassdoor can be helpful in untangling that confusion, since it has job descriptions for various positions at different companies. Contrary to popular belief, you have every legal right to ask your colleagues what they make, thanks to the National Labor Relations Act. If an employer bans you from doing so under threat of termination, they’re probably breaking the law. Nevertheless, this is a tricky area to navigate. Even if it’s technically against the law for your boss to fire you for this, what’s to stop them from coming up with another reason to let you go — or, even worse, gambling that you won’t have the time or money to take legal action if they do fire you? For these reasons, it’s best to be tactful with these conversations, especially since some coworkers might be uncomfortable with the conversation. Find a friend you trust, someone who already hates their job, or someone who’s about to leave the company anyway. If you happen to be in touch with anyone who used to work for your company — or even better, if you can find the contact info for the person who used to have your job — give them a shout. Depending on what sector you work in, your employers may be obligated to file with the Securities and Exchange Commission or other government agencies, and those filings often contain information on employee salaries. The SEC has a free tool called EDGAR which allows anyone to retrieve public information on corporations, and many state agencies provide similar access. It’s not a sure bet, of course, but it’s certainly worth a shot. This is really a last resort, but filing a complaint with the Equal Employment Opportunity Commission is another way to find out out how much your coworkers are getting paid. Once a complaint is filed, the EEOC will open an investigation, which involves asking your employer how much they make. You’ll have access to this information once the investigation closes. However, this is, by definition, assuming an adversarial stance toward your employer, and while they’re legally prohibited from retaliating against you if the claim isn’t successful, it still might not make for the best workplace environment. Still, desperate times call for desperate measures, and if you’ve exhausted every other possibility, the EEOC is certainly an option. That’s what it’s there for! Either way, remember: you deserve to know you're being compensated fairly for your work.